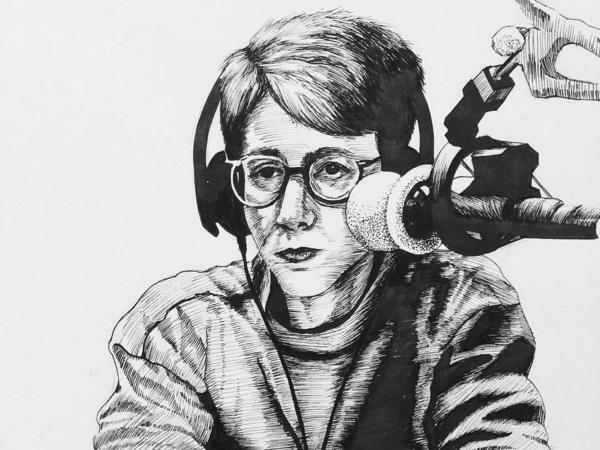 Depiction of Fresh Air host Terry Gross by Washington, D.C., artist Mandy Cooper. Today we celebrate Fresh Air's 30th anniversary and we'd love for public radio fans to use #FreshAir30 and share their favorite show memories, interviews, and the questions only Terry could ask. We'll be retweeting and sharing social media gems on NPR Extra's Facebook and Twitter channels. Speaking of Terry, we rounded up memorable depictions of the Fresh Air host spotted on Instagram. Have more art pieces or selfies sporting Fresh Air mugs or hats you'd like to share? Let us know with #FreshAir30. Terry's talent for questioning got the iconic cartoon treatment from The New Yorker. A parody poster of Gross Air with Terry Fresh made an appearance during a season 27 episode of the The Simpsons featuring NPR Music's Bob Boilen. 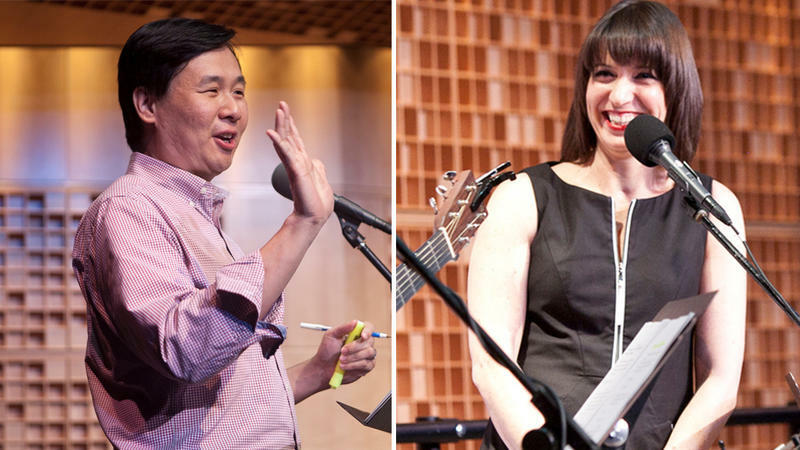 NPR Extra is a destination for an extra dose of NPR. We cover the stories behind the stories, plus corporate news and announcements. Find us on Facebook, Twitter and Instagram. Get the behind-the-scenes scoop delivered right to your inbox with our newsletter. © 2017 The Nielsen Company. May not be quoted or reproduced without the prior written permission of Nielsen. Since Ask Me Another's pilot season, which began airing on May 4, 2012, Ask Me Another has played nearly 1000 games with over 1,300 contestants, with VIP guests ranging from Sir Patrick Stewart and Uzo Aduba to Lewis Black and Josh Groban. Now, NPR's hour of puzzles, word games and trivia is marking its fifth anniversary with a special podcast re-release today of its very first episode, including a new interview between host Ophira Eisenberg and actor/author John Hodgman, the guest on that original episode. 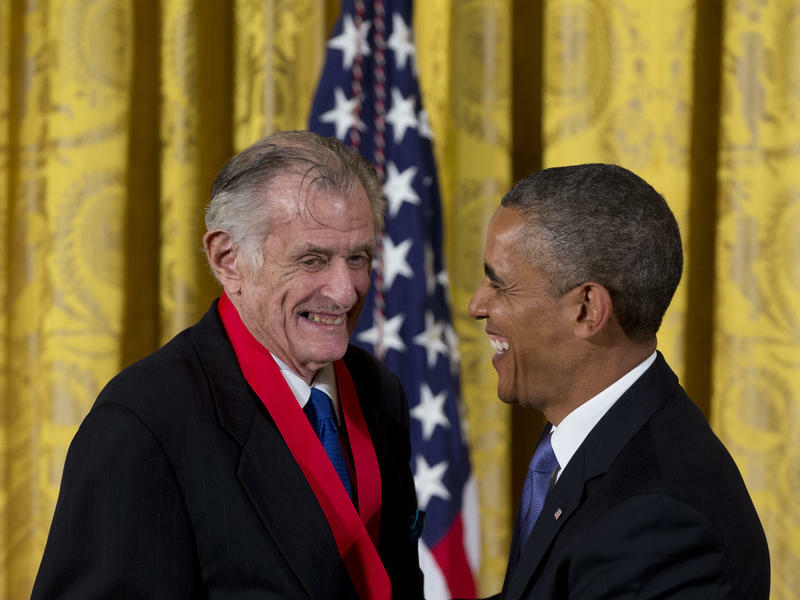 In 1980, Frank Deford voiced his first commentary for NPR, launching an incredible run that had him filing, as of this week, 1,656 of his signature insights into the world of sports and the human stories that weave through the world of competition. And on today's Morning Edition, he shared that this will be his final regular commentary for NPR.